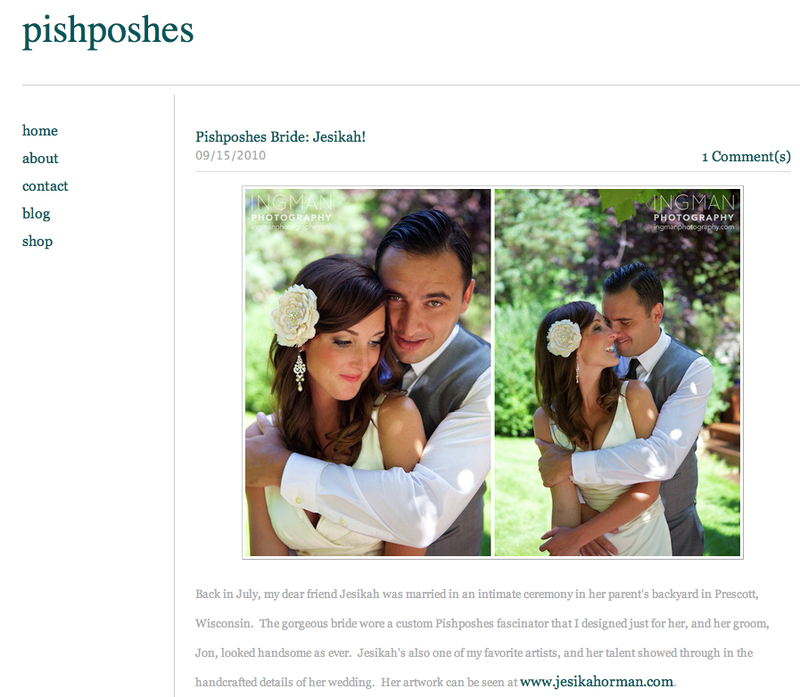 I wanted to thank Maura from Pishposhes for featuring some photos from Jesikah and Jon’s wedding on her blog. Maura is a brilliant designer creating unique veils, barrettes, cocktail hats, dress sashes, and headbands for the ever so classy and stylish bride. Jesikah’s wedding day barrette was a custom design by Maura. Pishposhes is an independent design label based in Chicago. Please visit Pishposhes online store to see all of their beautiful pieces. I am so excited to refer my future brides to Pishposhes for a unique wedding day look! Thanks so much for the support Anne! Your photos made Jesikah’s barrette look great!